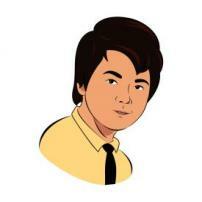 Hi, I am a freelance writer in the Philippines for more than 4 years now. I write, scribble and scrawl for a living. If you have any concern or error found on my written articles, please don't hesitate to contact me. I will do my best to reply to your requests ASAP. I am probably writing when you contact me. If you'd like to know more about me pls. visit my portfolio>> itsmyownversion.wordpress.com/portfolio. Thank you very much! 'The Bold and The Beautiful': Dr. James returns, will Eric forgive Quinn? ‘The Bold and The Beautiful’ : Eric back with Sheila - Is Nicole adopting Liz?